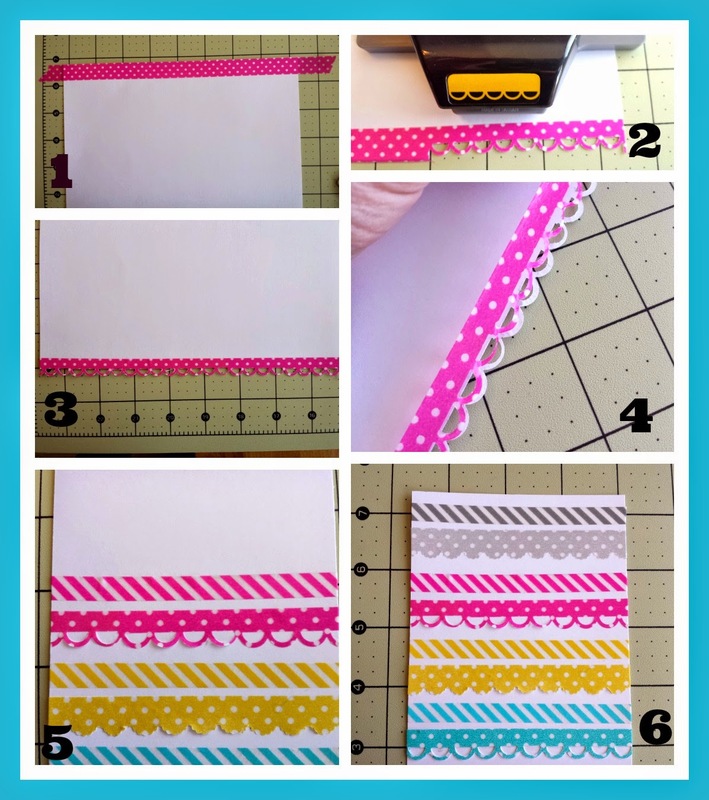 Hi there friends - thanks for stopping by - its Tya here with you continuing our Washi Tape Challenge week with a fun way to use washi tape as a border. I will teach you 2 techniques today that would work great on cards or layouts both - so here is what I did! 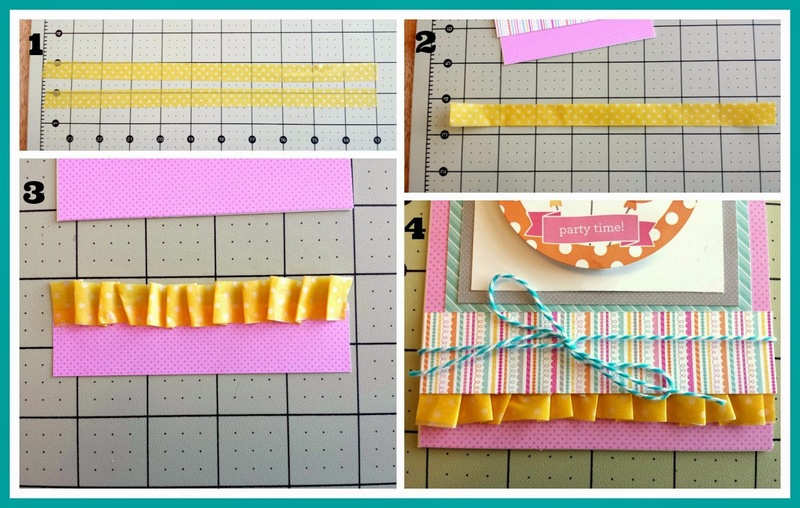 1- Place the Washi Tape on the edge of a length of cardstock. See the excess Washi on the edges? Leave those on and wrap them around the back edges of the cardstock. When we go to take the tape off of the cardstock these excess edges will make it easier to pull the tape off the cardstock after we are done punching it out. 2- Punch out the border. 3-Punch all the way across the paper. 4- Very carefully peel the Washi Tape from the cardstock. Go nice and slow so you don't rip the tape and start peeling the tape off along the back edges with those excess edges we did. 5 - Layer your tapes on the card front. 6 - This is the card with all the different tapes on them. The next technique is a Washi Tape Ruffle. This is such a darling technique and so easy to achieve..
1- Cut 2 strips of Washi tape. Make sure that you make the tape bigger than what you are going to layer it on. Because we are gathering the tape, it needs to be bigger to adjust for that. 3- Add some strong adhesive tape to the underside of the paper you are adding the border to. Take the Washi Tape and just start gathering it. It doesn't need to be even, I just started gathering and went until I got to the end of the Washi Tape. 4- Here is the completed ruffle. Isn't it fun? You could probably add more layers of Washi Tape as well if you would like to. I hope I have inspired you to look at all those rolls of Washi Tape you have and decide to use them on some fun borders like I did. Thank you so much for stopping by! Happy crafting! FABULOUS cards and WONDERFUL washi techniques Tya!!! 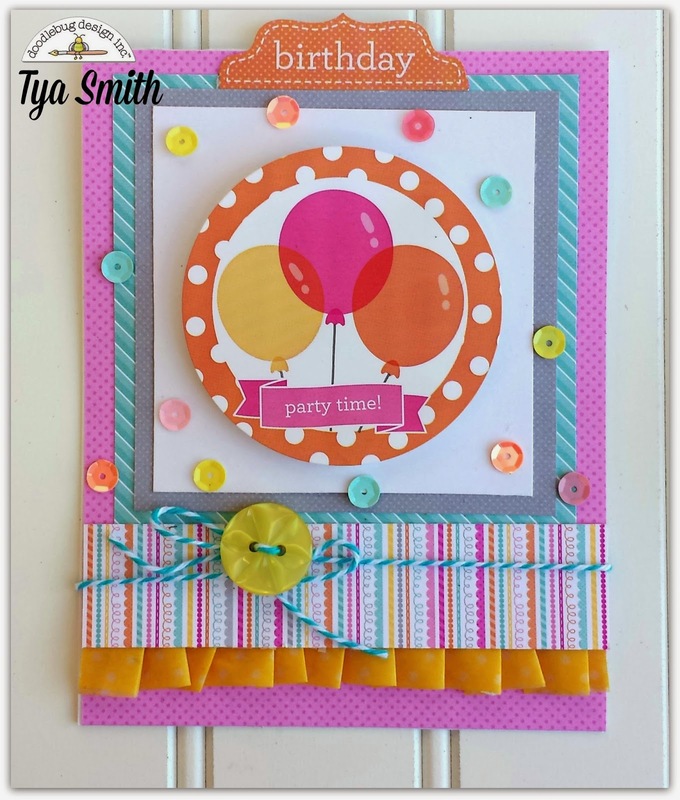 Such great cards & fun techniques Tya!!! A washi tape ruffle? Tya, you slay me. Amazing! These are so much fun! 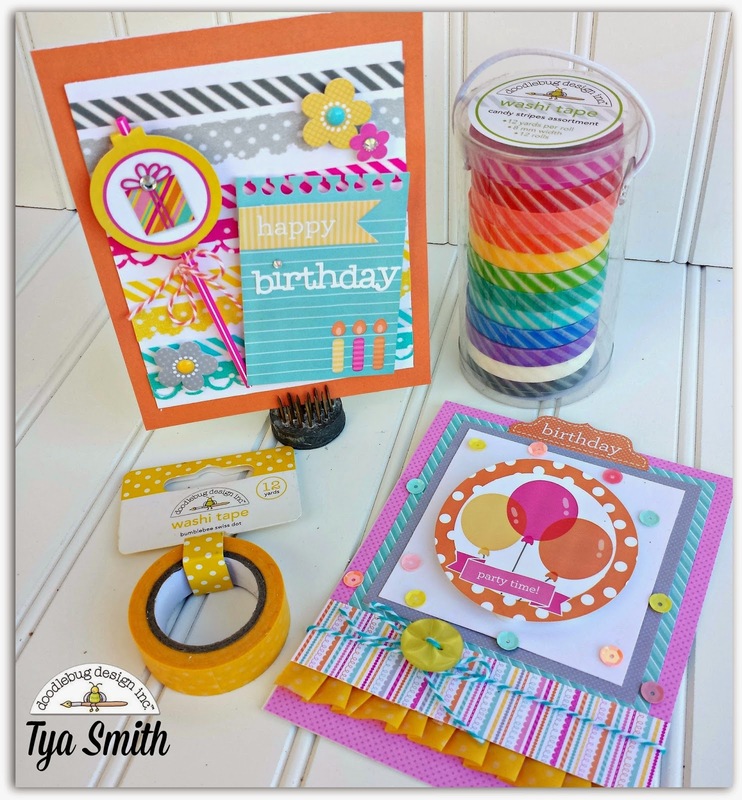 I love seeing new ideas for using washi tape and these are wonderful! I'm pinning them for future reference! Thanks for both great ideas, and I love the fun colors! 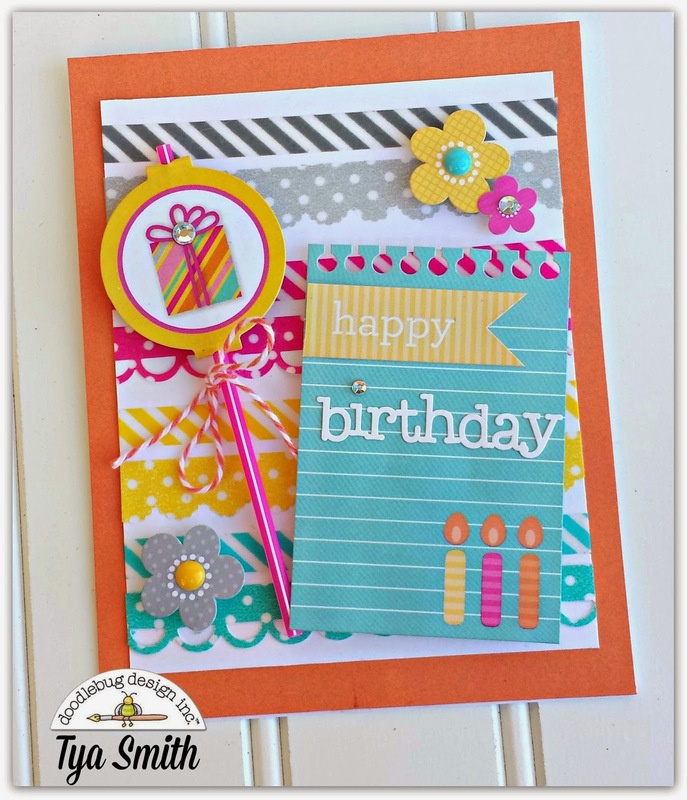 Besutiful cards Tya, I love the way you used the washi! This is such a fun idea and so cool!! Way to use the washi, Tya!!! So very awesome - never thought of using my punches on it - going to give it a try!! Thanks so much!!! Adorable cards!! Love how bright and cheerful they are!